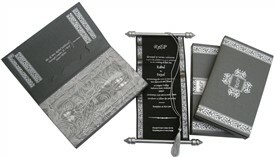 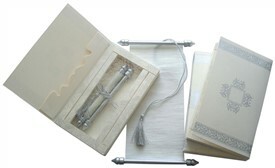 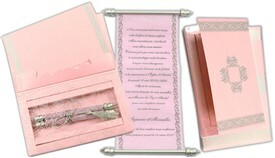 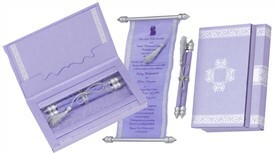 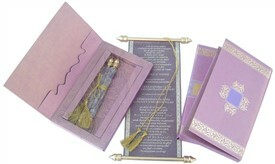 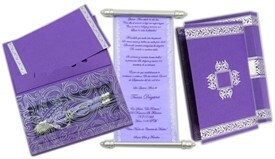 S773, White Color, Shimmery Finish Paper, Scroll Invitations, Jewish Invitations, Small Size Scrolls. 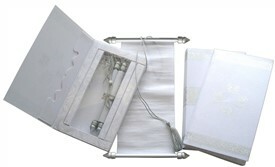 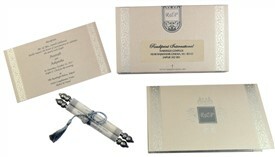 White color shimmery paper (225gsm) for one insert, mailing box envelope and container box. 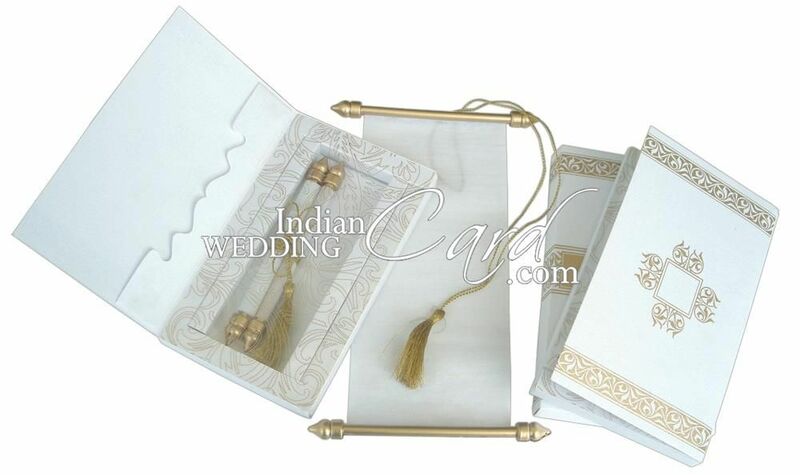 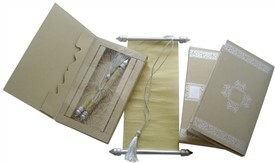 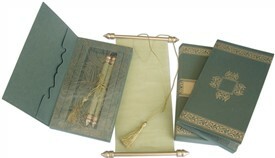 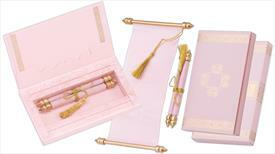 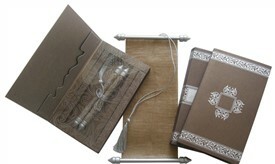 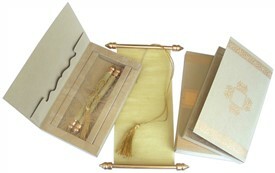 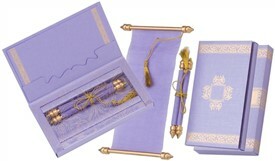 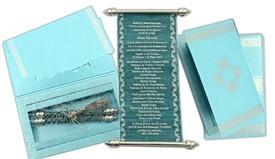 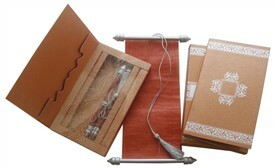 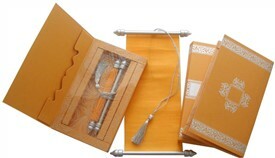 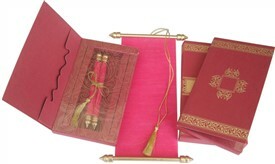 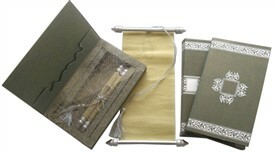 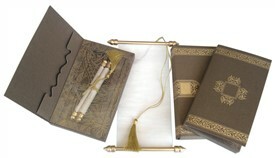 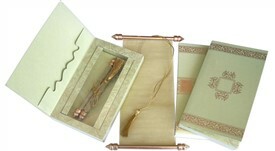 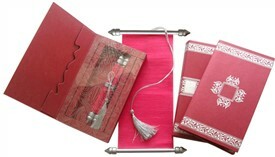 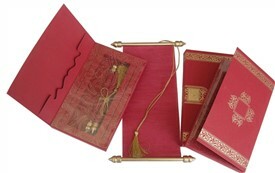 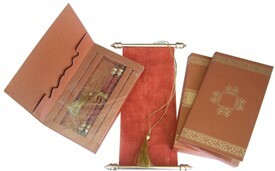 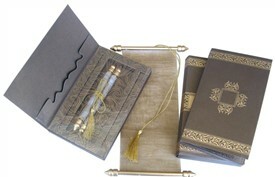 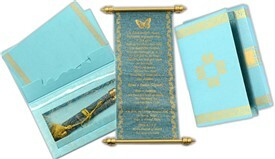 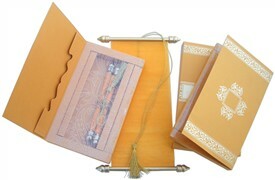 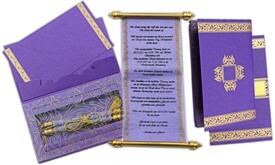 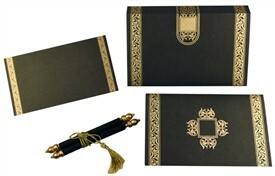 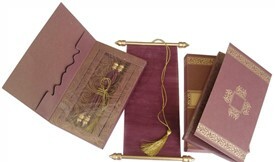 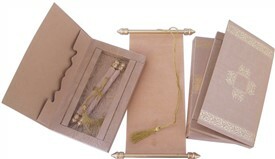 White color translucent wooly paper for scroll with golden bars and matching tassel. Transparent cellophane paste-up inside the box.